I hope this isn’t awkward, but to be honest with everyone, I wasn’t sure I wanted to do this interview. I wasn’t sure the idea was big enough—it seemed too simplistic. But then I had a conversation with today’s guest and I got fired up. Here’s the deal. This guy had an idea that started as a post. He didn’t create the software, he didn’t go out and get customers. What he did instead was create a conference, he got people to come, and that’s how he got some of his first customers. Today he’s becoming the leader in this whole new category of software that I’d never heard of before this interview. Sangram Vajre is the cofounder of Terminus, the leading b2b account-based automation software. Andrew: Hey there, freedom fighters. My name is Andrew Warner. I’m the founder of Mixergy.com. It is, of course, home of the ambitious upstart. I’ve got to be honest with you and also with my guest here. I hope this isn’t awkward. I wasn’t sure I wanted to do this interview, to be honest with everyone. I wasn’t sure the idea was big enough. It seemed too simplistic. And then I had a conversation with today’s guest because I accidentally did something with the calendar and then I got fired up. But he created a conference. He got people to come and that’s how he sold some of the first few customers on using a software and then the guy is becoming now the leader in this software in this whole new category that I had never heard of before this interview. I had some problems with the category, which I’ll talk about in a minute. All right. Let me introduce my guest after I gave this kind of rude introduction, but it’s very real. I want to be as real as possible because that’s the only way I get my guests to be real. His name is Sangram Vajre. He is the cofounder of Terminus, which is the leading B2B account-based automation software. Anyone get that? No way. Maybe two people got what that is. I’m going to explain what the account-based automation software is. Actually, I’m going to ask Sangram to. But first I should say that this interview is sponsored by two great companies. The first will help you hire a great developer or designer or other professional. It’s called Toptal. The second company will help you actually get people to take your phone calls or get together with you in person. It’s called Acuity Scheduling. But first, Sangram, welcome. Sangram: Thank you so much, Andrew. I love the intro. I think it’s important to be surprised at a lot of different things. If you think about marketing or sales or anything we do today, if you can’t surprise people, people won’t pay attention. Andrew: Plus you kind of like this whole–you like a little bit of the fight. I asked you the same question I ask every guest that I interview. I said, “Here are the two sponsors. Do you have conflicts? Are they competitive with you?” Often people say, “Yes, please don’t run them.” And I switch and I find another advertiser because they don’t want to promote their Mixergy interviewer and then promote the advertiser that’s a competitor. You said, “I’d love it if you had a competitor.” Why do you love it if I have a competitor? Sangram: It legitimizes us. It’s more important to have a competitor that says, “Hey, you know what?” If somebody’s paying for other people to listen to me, I would do that all day long. Why would I do it? Andrew: I like that part of your personality. All right. Here’s the thing that I asked you the other day when I had you on. I said I’ve looked up what account-based automation software is. It basically means selling to people individually. What I’m trying to do individually is talk to a big group of people. Some of them will sign up for Mixergy Premium, some will not. But that’s the way that marketing is. What you’re saying is basically sell to one person. Isn’t that the same as just picking up the freaking phone and calling a customer? Why do you need some fancy title for this new category? Sangram: Well, it is surprising. It grabs attention. And in B2B, first of all, account-based marketing is all about B2B. It’s not B2C. And the reality is B2B is like Yellow Pages. You’ve got to know which companies you’re going to go after. In B2C, if I’m selling like if I’m Nike, I’m trying to sell to everybody. If I’m like you, you’re trying to get an appeal to a broader audience. In B2B, people know I’m going after financial services companies and within them I’m only going after IT people because that’s the problem I solve with my software, for example. Andrew: Sangram, what you’re saying is that if you’re going to B2B, you can’t actually do this big thing that I’m doing. You want to figure out what’s the company you need to target, what’s the job title there and then who the individual is, right? Andrew: What’s so revolutionary about it? That’s been happening for freaking years, hasn’t it? Sangram: No. I’ll give a stat that will blow your mind. It blows mine as well. Less than one percent of the leads–less than one percent of the leads that marketing and B2B generate don’t lead to customers. Andrew: Why? You’re saying that let’s suppose that I have new hardware that every CTO needs to incorporate in their company. What I’m going to do is say, “Who’s the person I should be getting? What’s the first company I’d like as a customer? Well, you know what? I really like the Optimizely guys. Great. Who’s their CTO?” I’m going to write down the CTO’s name. Now I’m going to go call him up. What’s so revolutionary? Sangram: It is funny, people don’t do that. Here’s what people do. People actually say, “I’m going to create this infographic for “Game of Thrones.” I’m going to have thousands of people essentially download that and marketing is going to say, “Yay, there are a thousand people who downloaded the infographic.” Well, guess what? They were all “Game of Thrones” fans. They’re not going to buy software from you. So, when you give those leads to your sales people who are taking the time to call them and stuff like that, they’re not turning them into customers. Now there is a divide between marketing and sales, especially in B2B which is so much sales driven that marketing is like, “Why are you creating these leads that don’t turn into customers?” That is the problem we are solving. It’s not important to go after any and everybody. It’s important to know who you want to go after. There are tools today that can help you do that. Andrew: Also, if I wanted to call the CTO of Optimizely, he’s not going to take my phone call randomly. Sangram: And he’s not going to download any freaking eBook either. So how do you get in front of all of these people who’s not going to pick up your phone, who’s not going to download an eBook. How the hell do I get his attention? Andrew: SO, you have a way to do it. The way you came up with is something you drew on a napkin when you were drinking with some friends, am I right? Sangram: It was pretty much that. They were not my friends. The story was I went to a conference called MarTech Conference, which is one of the biggest conferences that happens in San Francisco. Scott Brinker, shout out to him, he runs that conference, really awesome. It brings all the B2B marketing technology companies together in one place. He had a lot of people speaking at the conference. I literally went there to attend, to learn and just kind of osmosis get more understanding of it. And it’s in San Francisco and I’m in Atlanta. The flight is a pretty long flight and I got stuck in the middle seat, which is the worst you can get in economy on Delta. Then two guys next to me were like fully drunk. They were just talking about stuff they didn’t know. This was crazy. I put my earplugs in, get a piece of napkin. I just started drawing the funnel that we all especially in B2B sales and marketing know, which is pretty much broad at the top–this is the funnel. Get as many people at the top and then a few of them will become your customer, right? Sangram: I’m like, “Why do I need to spend so much money when I know who I need to go after. So, I just flipped it on a piece of napkin and said, “What if I start there?” What if I know which companies to go after? What if I identified them? Would I start engaging them with only the message they care about?” So, I’m not running the quantity game, I’m running a quality game and then turning them into advocates. I drew this. If it has to be a funnel, I’m like, “It’s a pretty beautiful funnel.” So, that’s how the idea really got started. Andrew: So, talk to me about this. And then I want to get into how you created this conference that led into sales and whether or not you were cofounder of Terminus or not because there were people who were there before you. Andrew: All right. So, let’s take my example. I’ve got this piece of hardware. Everybody’s got to have it in their office. I now know the CTO of Optimizely is one of my ideal people. I only say Optimizely because when I ride my bike, I ride right past their beautiful office and I happen to know Dan, the founder. So, he’s now on my piece of paper, top of the funnel. I flip my funnel. He’s up there. How do I get him buy. What’s the next step? Sangram: So, the next step you do is you can come in like Terminus, for example, and say, “I want to go after Optimizely and I want to go after the executive team,” not only Dan, but Linda and all the five other people that are in the executive team. Andrew: Even though the CTO is the guy I want to talk to, I’ve got to have Dan and Linda and everyone else sketched out? Sangram: Everyone. In B2B, nobody goes and buys anything without talking to four people. Everyone is through approval. That’s why it’s an account, account meaning more than one people in that company that needs to get influenced. Sangram: So, now what you can do is say, “I want to target all these five people in this company because they are part of the decision making process.” Now you can launch Terminus ad campaigns through mobile, through Facebook ad campaigns, through web videos, web campaigns, through videos like YouTube videos and stuff like that. Andrew: Take it away from Terminus for a moment. I want to just understand the concept. I know these are the people. You’re saying launch an ad campaign to these four or six people? How do I do that? Sangram: That’s exactly how we do it. Andrew: So, you wrote software that does it. Andrew: Without getting into the details, what are you doing? Are you sending them email messages? Are you buying Facebook ads that target their building? What are you doing? Sangram: Yeah. We’re doing a lot of cookies and IP address. We know exactly who they are, what kind of websites they’re going to and we can interactively start targeting based on their cookie ID or IP address or something like that. That’s advertising. We can also do direct mail. So, here’s this thing, let’s just send Dan a direct mail of your awesome, beautiful photo of the black [inaudible 00:09:27] or whatever we’re trying to sell him and put it in his desk because he cannot not open a direct mail that comes to his office that is beautifully packaged. Sangram: We’re helping them do all these things are scale and actually seeing how each of these accounts are working. Andrew: I see. Find the person, find some people around them. Start to message to them lots of different ways to lots of multiple people and some of them are going to end up being your customers. Sangram: But you’re targeting only to that company, right? Now if Dan buys it, you’re selling it to Optimizely here. So, if Dan buys it, that’s your sale. That’s the deal because that’s really what you’re selling. You’re selling a software there. The first step is identify the company. The second is example to the right people in the company that are going to influence and then engage these people on their terms through all these different online/offline channels and then turn them into advocates. Andrew: And that’s a software you created. Andrew: Let me skip to the end for a moment and then I’m going to come back to the story. The end is nine months you told me how much you guys made in revenue? Sangram: Yeah. We launched the product last March, zero customers at that time. We went through $1 million at the end of last year. So, we went from zero to $1 million. Andrew: $1 million in sales? Andrew: Cash in the bank, like people actually paid you? Sangram: Yeah, cash in the bank. Andrew: And no outside funding? Sangram: No. We had a little bit of outside funding, but not a whole lot. Andrew: How much are we talking about? A little can be like $10 million I’ve found around here. Andrew: $750,000 to create the software and then you actually had real customers come in and then you’ve built it since then and since then you’ve raised more serious money. Sangram: Yeah. Then we raised $7.5 million earlier this year and now we are just going with like 50 employees and we just keep going. Andrew: No wonder you have a little bit of swagger about you. You’re moving very fast and you’re getting real customers from this. Let’s go back then. You have this idea. You start writing about it, right? Meanwhile, there are a couple of other guys that have this business you end up joining. What does their business do? Sangram: So, what they were doing was they were doing this in a vacuum, right? They were not marketers and they are there. They’re still there. They’re live. They’re not marketers but they’re tech guys. They build beautiful technology that did so many different things. When I looked at what they were doing I said, “Put all this together and this is the new thing. We’ll call it account-based marketing and we’ll go to town with this thing.” They’re like, “What is account-based marketing?” All right. I need to come in as a cofounder. Andrew: And you were schooling them the way you just schooled us here about what it means. Andrew: What were they exactly doing before? What was their business? It was a consulting company? Sangram: It was pretty much targeted advertising. So, what they would do is go to a company like PGI, for example, who’s in town and say, “Who do you want to target? Can I send advertising to them and they will charge for media spend like an agency?” It was pretty much an agency for like trying to do advertising. I’m like let’s just turn this into a platform where people can come in, start doing business, measure it and see that every single account–so, if you’re targeting PGI, Home Depot, Koch brothers, whatever, you can literally see how many ads we run through each one of these companies, how many impressions they’ve seen, who has engaged in those companies and how much money are you spending on each one of those companies. So, you as a marketer, as a CEO would know what’s happening in these companies. Am I spending my money where I need to spend it? Andrew: Were they doing okay with their business at the time? Why would they want to listen to somebody else? It seems like anybody who’s doing ad buys right now is flush. Andrew: They were doing well? Andrew: I see. That’s the vision you sold them on. They needed your help in order to get it going and so you guys teamed up together. Let me ask you this. What came next? Was it the creation of the software, the first customer or was it the conference you put on? Andrew: These two guys were developers? Sangram: One of them was a developer and one is like a data partner guy who’s my cofounder and the CEO who runs all the data partnerships to pull all the stuff together. They’re like, “We can do that in like three weeks.” I’m like, “Great.” I came back in three weeks, they had it. I hopped on a call with a couple of people we were able to have it in the hopper. Andrew: All right. Let me break that down. I want to know what was in that prototype and then I want to know what you said on that first phone call and who you said it to. What was the prototype capable of doing? Sangram: It was exactly where the three steps, like identify the companies, then expand. That’s where the data providers came in and they were able to expand the reach, not only Dan, but Dan, Linda and whoever they want to get in front of. Andrew: So, it was, again, a fictional example–me with some piece of hardware that every tech company should have. I come to this software, to Terminus’ prototype and I say, “I have this software.” And then Terminus tells me, “You should be thinking of Optimizely and Visual Website Optimizer and here are 20 other people.” The software needs to tell me. Sangram: Yeah. The software would tell you. Andrew: And the software would do that? Andrew: Be open with me. How was that software do it? Where was it figuring out who I should be selling to? Sangram: Well, first of all, we look at most of these companies, they know what they want to go after. So, it wasn’t like we had to tell them who to go. So, for example, if you say, “I want to go after Optimizely,” we’re like, “Great.” You just need to tell which company and who, like not the end user name, but the persona–IT people or marketing people or sales people. Andrew: So, that’s the first thing the prototype needed to do. Before we continue to the second thing, where did the prototype get that data? Where did you guys hook in? Sangram: That’s a great question. We have partnerships with Bombora, which is a really awesome data provider. Andrew: Even back in the beginning? Sangram: NetProspex, who just got acquired by Dun & Bradstreet. That has been really huge. Social123, that gets data from LinkedIn, which is pretty much the Holy Grail of everyone’s data. Everyone updates their LinkedIn profile all the time. So, we get all these data from all these amazing data providers where we know if you want to go after Optimizely, who works at Optimizely and which job description. It’s all there. So, we’re able to identify those people and now start putting your messages in front of them across all digital and direct mail channels. Andrew: What does Social123 do? Sangram: They get data from LinkedIn. Andrew: And then they let me target lots of CTOs all at once. Andrew: Got it. Okay. So, that’s the first step. You said there were three you wanted them to build in the prototype. What was number two? Andrew: How did you do that in the prototype? Sangram: They were able to literally–they had the data. Andrew: Who had the data? Sangram: Both of my cofounders. Andrew: How did they have the data? How did they know–I understand the first part of it. I as a guy with this great piece of hardware know I need to get CTOs of companies that are in tech that have this number of people, maybe 100 to 1,000 people. I know that. I find the CTOs. What did you guys do to help to expand that beyond the CTO to maybe the CEO, maybe also to the assistant of the CTO? How do you do it? What’s the logic? Sangram: The logic is exactly the same. That’s the funniest part. It’s so kind of simple, right? Once you tell Optimizely and once you say, “I want to go after the CTO and the technology team,” all you said was technology. It’s our job to find out who was on that technology team. The way we find that information is Social123 and NetProspex and Dun & Bradstreet because they have data with almost all those organizations out there with who they are in those organizations and what their titles are. Andrew: But there are so many people in the IT department. How do you know who has influence and who doesn’t? Just based on title? Andrew: I see. You’re making assumptions based on title. It’s not getting perfect. It wouldn’t get what I suggested, which is maybe the assistant to the CTO who happens to have more of a say, but it would get the other people who are high-ranking within the tech department. Andrew: Okay. That’s number two. Now we’ve expanded. What’s number three that the software did? Sangram: Number three is engagement. This is where like now that you have figured out who to go after in these companies, now you need to get your message in front of them proactively. They’re not going to come to your website and you’re not retargeting with ads or anything like that. You are actually proactively going and putting an ad in front of them when they are on like CNN.com. Andrew: So, what do they do to find those people there? Sangram: So, that’s where we actually partnered with an ad exchange. Like we have 50+ ad exchange partners from Google to PubMatic to all the different media, all of these different online media partners that actually have cookies and IP addresses for all the people that go to these premium websites. Andrew: How do you do that? How could you target the executive team at a company based on IP and all these different networks? Be open. Sangram: Yeah. It’s all like cookies, right? Wherever you go online, you have a digital trail you are leaving every time. It’s like breadcrumbs. Andrew: Who has my title? Sangram: That’s where we’re actually finding the email address. It’s not just the title but the email address. What we got from all these data providers, which actually is a really good question you just asked. We have email addresses of all these people based on the title. You told me what title you want to go after, based on that, from all these data providers we got their email addresses. Once we got their email addresses, if we use those email addresses to go on any website, then that website now has your cookie and information about you like Facebook or CNNs of the world or ESPNs of the world. So, what they are doing is they are allowing us to do a real time bidding whenever you come to that website to put an ad in front of you. Andrew: On that specific person? Sangram: Yeah. That’s exactly that specific person. Andrew: If I wanted to do that right now to you, if I said to myself, “I’ve got to find a way to get the team at Terminus,” what’s one place where I would do that? What’s one company where I can go and buy an ad that targets directly to you, to Sangram? Sangram: I think you could do that with AdRoll. I think AdRoll does that. Andrew: AdRoll will let me target you directly if I have your email address? Sangram: I believe so. Yeah. Andrew: Is there another one you know of? Sangram: I don’t know very specifically ones that actually do that. It is a hard problem. The interesting thing about it is as we’re talking through this, we’re doing three things at the same time. We’re partnering with tons of amazing data partners to create this kind of amazing–a lot of people are only in the data business. Then we are doing these ad tech partnerships with all the ad tech. A lot of companies are only in the ad tech space you talked about. They’re getting flushed. Then we are adding an automation layer on top of this to say, “A company has got to move in different layers of their sales cycle,” show them different ads through mobile, social, display, video, direct mail and show analytics for it. So, we’re combining three different completely disparate systems and putting it all through the automation layer. Sangram: Those are my two cofounders. They are the smartest guy. Andrew: And the developer–what’s the developer’s name? Sangram: Eric Vass. He’s the CTO. Andrew: Eric Vass. So, what’s one thing that makes Eric so good as a developer? What’s one part of this that he built that someone who is not so smart couldn’t have built of the prototype? Sangram: Yeah. I think the prototype, the way he did that was like trying to figure out, “How do I add and match all these things together?” And that’s really, really a hard problem. We have millions of records of information. We’re updating them on a very, very regular basis. So, we’re targeting only the right people at the right time. So his ability to kind of figure out, “How do I match all these things, keep it up to date, not waste impressions and target?” was just genius, right? So, that’s why he’s the guy. Andrew: All right. Speaking of genius developers, let me take a moment here to talk about my sponsor, Toptal. One of the impressive things about Toptal–you don’t know about them, do you, Sangram? Andrew: I’m going to open your eyes to this. Toptal gets these phenomenal developers–we’re talking about the best of the best and they know it because they keep testing these people to make sure they only let in the best people. They go through all kinds of vetting process to make sure they only have a network of the best developers so when it comes time for a customer to come to them to say, “I need a developer for a full-time position or part-time,” they have that developer right in their network and they can start often within a couple of days. And they work remotely, but they work like they’re part of the team. They have a phenomenal team. The reason I like Toptal is we’re living in a world where the best developer like Eric really is better than seven other developers together. You couldn’t say to Eric, “Hey, Eric, here’s what I need you to do. I need you to do this, this and that, and then the whole thing is over. I know how to say it in English, you write it in code.” That’s the way some idiots think that it works. Andrew: That’s not how it works. What it is, is you have to tell them what you’re trying to do and he has to figure out the solution on his own, right? A good developer enjoys that kind of a challenge. That’s what Toptal is about. They get those developers. Often people will hire not just one from them but they’ll hire a team of people all at once from them. Sangram: That’s awesome. It’s good to know. So, he calls up Toptal and Toptal always talks on the phone before they get you setup with a developer because they want to know what you’re about, what you’re trying to do, etc. He gets a developer. This guy ends up creating the Seven Minute Prayer Challenge app. It gets in the App Store. It ends up at the top of the charts here. Then I emailed him a few weeks ago to say, “Is it still at the top of the charts?” He said, “Yeah. It’s currently sitting in the top five paid apps under the lifestyle category.” He even sent me a link to make sure I can check it out for myself. Phenomenal, be got a great developer. Andrew: Anyone who’s listening to me who wants to hire a developer–now they even do designers. To find the right designer is tough. To be able to call up Toptal to be able to say, “Here’s what I’m looking for,” and have them find and recruit the perfect person for you–easy. Go to Toptal.com/Mixergy. They really want to win over the Mixergy audience because they know you guys are influencers. So, Mixergy listeners will get 80 hours of Toptal developer credit when they pay for their first 80 hours and that’s in addition to the no-risk trial period of up to two weeks. Think about it, no-risk trial period, when do you get that? Go to Toptal.com/Mixergy. All right. Sangram, you now have this prototype built by Eric, built by your cofounders. Actually, do you have two cofounders? Is Eric considered a cofounder? Sangram: Yeah. Both of them are cofounders. Both of their names are Eric. Andrew: Who are you calling and what are you saying to them to convince them to buy? 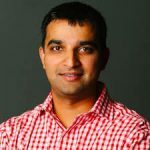 Sangram: So, just a little bit of background on myself–I ran marketing at Pardot, which was a marketing automation platform also based in Atlanta. The company got sold to ExactTarget and then ExactTarget was acquired by Salesforce. So, I kind of went through the whole mar-tech going from startup to a multi-billion dollar company. And it’s marketing technology. It’s not very comfortable in the marketing technology space and B2B. I know companies who have marketing automation what their challenge is and I understood that having a solution like that, what we’re trying to build with Terminus, would solve their challenges. I was literally talking to myself. I’m talking to other marketers. Andrew: How did you know they had that problem? How did working at Pardot help you know that? We have all these gimmicks play and sales do all the time at conferences and stuff to get a whole bunch of people in the door, but what you want is quality not quantity. That’s where I realized most B2B people know exactly which companies to go after and who their target audience is. Why not build something that will help them do just that? Andrew: As you’re talking, I went back to see what Pardot’s website used to look like back in 2011. Literally, the first image I saw on the upper-right is a funnel. Andrew: A clear funnel–We are going to help you with your sales funnel. Sangram: I just flipped it. Sangram: Yeah. The funny thing about all of this is that once you figure out who you want to go after and that these are your best fit customers, the reality is you can’t force anybody to buy something today, but you can now focus all of your time, money, energy, resources on being in front of them anywhere they go online or offline and when they’re ready to buy, guess what? You’re going to have a chance–they will know your brand because you’re not spending money on getting in front of everybody. You’re only getting in front of these 500,000 companies that are probably going to be your customers. Andrew: Okay. Actually, talk to me about the first customer. Sangram: Sure. Gretchen–her name is Gretchen, first customer. Andrew: Actually, as you said that. I said, “Let’s see what their pricing is right now.” I did a search on your site, site:Terminus.com search on Google for the word pricing. I didn’t come up with anything except for a frequently asked question you answered and I can’t figure out what the answer is. Let me see. “What’s your pricing model?” You answered, “We have a subscription fee. We don’t charge markups on demand. Other companies charge 30% to 40% markup. Our subscription fee…” Oh, so it is $500 a month now? Sangram: Now it is $1,000. I think at that time it was $500 and now it’s $1,000. Sangram: Yeah, $1,000 a month. Andrew: I’ll send you a link. I don’t know if this is public on the site or not, but if it is, you might want to change it. Sangram: I will definitely go back. Thank you. Andrew: Yeah. It’s a year old in your blog. Gretchen, who was she? Sangram: She is still running demand generation at a company called Avere, Avere Systems. They’re targeting IT people. I don’t remember exactly what their solution did, but it seemed like they targeted IT people and they just knew exactly which companies to go after. Andrew: How did you know her? Andrew: And it was a cold call? Sangram: It was a cold call. Andrew: It wasn’t even someone that you know from before from Pardot days or anything. Sangram: No. That was the test, right? That was the test. Obviously I could call up friends and we could sell like 50 of them. It won’t really prove a point. The whole point was we hired somebody internally to literally do cold calls on a list of companies that we gave them knowing these would be a great fit if you could just talk to them. They’re like yeah. That way it’s a cold call. If you’re able to get a cold person happy and excited about it, it would prove our point. Andrew: When you called Gretchen, was somebody making the phone call before you did? Sangram: Somebody was doing the call, setup the demo and then I just jumped on the demo to kind of pitch the product. Andrew: How did you know who–actually let me stick with this and then I’ll go back to how you made your list of targets. What did this person do? This person actually was a sales person whose job was to take a list of leads and call up Gretchen and a bunch of other people and say, “Can I show you a demo about this thing?” And then once he got that he passed it on to you? Andrew: I see, very much like on Wall Street where you have someone who dials, dials, dials and then when they get someone on the phone, they pass it on to the real broker. Sangram: Yeah. That’s exactly how sales and B2B work, right? They have a bunch of SDR, sales development reps. All they’re doing is essentially calling a whole bunch of companies, but they’re calling anybody and everybody. What we’re saying is you can call, but why not just call the right people. On top of that, do emails, on top of that do direct mail. But if you’re doing all these great things with only a small subset of customers, you’re going to see a better return. Andrew: So, that comes back to the question that I started this interview with, which is if that works, why shouldn’t B2B sales just happen like that, get a list of companies, find the person at the company, get a guy to ring for you and then once you get the person on the phone, pass it on to the real sales woman and she takes care of it. Sangram: You should ask her how many calls she made to get to Gretchen, right? She made probably like 200-300 calls before she was able to get Gretchen on. At that time, we didn’t have the software fully working. Now we don’t do it that way. Now we run our own campaigns. We have a list of companies. We do advertising and as people show interest, then they call like, “Hey, it seems like you’re interested in this kind of stuff. Can we talk?” Then there’s a much higher connect ratio. Andrew: I see, because they’ve been exposed so much. Got it. Sangram: We warm up these accounts. We literally run advertising campaigns two weeks prior, show our ads to as many of those companies and then when the sales person calls them, they’re like, “I’ve seen you guys. What do you guys do?” I’m like, “Yeah, let’s talk about it.” So, the connect ratio to email is the halo effect. Andrew: That makes so much sense. That kind of explains something. I pushed you when we were having that private conversation the other day. I said, “Can’t I just pick up the phone and call the right person?” And you said, “Try it.” Your point is I’d have to try 300 times before I get on a call based on your experience when you were making a sales call. I’m also wondering how you got this list of people who were the right target. Did you use BuiltWith? What’s the software you used to identify the companies that used the software you wanted? Sangram: There are hundreds of companies that do that. So, to name a few, LinkedIn Navigator. You can literally pop in there in LinkedIn and say here are the kind of companies I want. Another company is DiscoverOrg. Another company is Datanyze. There’s another company, Social123 does that. There are a lot of companies that actually are in this space that do exactly that. Andrew: You made the sale. Was the software ready to go for Gretchen and the other nine people? Sangram: Then as we got these two people on the very first day of doing this whole thing, we’re like, “All right, we’ve got to build this thing.” They were able to build that in less than three weeks. They were ready to go. It wasn’t smoke and mirrors. They knew they could do it. They had everything figured out. They wanted to have the proof point that it’s worth building something if somebody’s even interested in it. It was great. She’s still our customer. I’m actually meeting her next week in Nashville, so really excited about that. Andrew: This is one of the things that I like about real entrepreneurs and having them on. I asked you who the customer was–you know who the first customer was. Or if you didn’t know the specific name of the first customer, you’d know one of the customers. All right. Quick sponsorship break and then I want to come back and ask about the conference. The conference is one of the first things you highlighted for me when we were talking about having you on and it’s one of the things that helped you really grow, right? Andrew: And it’s one of the reasons why you ended up wearing a cape, which I’ll find out about in a moment. The second sponsor is Acuity Scheduling. I think you’ll like this as somebody who’s done some sales calls. The idea behind getting somebody on the phone used to be you send out an email and when someone says, “Yes, I do want a call,” you send out another email saying, “Are you available at this time?” If they say no, you send out another email or maybe you send out five times, “Are you available at any of these five times?” And then of course, once you send out those five times, you can’t book anything else at those five times in case they say yes to one of them, so now you’re blocking off way too many opportunities on your calendar. What smart salespeople do is they use software. They let software do it for them. I like to use Acuity Scheduling. The cool thing about them is you sign up, you connect your calendar to it. You immediately then say, “Here are the days that I’m free and the times that I’m free for phone calls.” Boom. And then you have a link that you can send out to someone and say, “Do you want to get on a call, if you do, pick any one of these times or if none of them work, let me know.” Easy peasy. And then the nice thing about software is it goes the extra step of also asking the person, “Hey, what phone number would you like Andrew to talk to you on? Do you prefer Skype? What’s the URL of your website,” all kinds of questions you want to know and be prepared with when you’re getting on a call with them. And it takes all of that and it puts it on my calendar and it will do the same for anyone who’s listening to me. Put it right on your calendar so you don’t forget so when it’s time for you to make the call, you have it right there. It also will put it on their calendar just by giving them a Google link. It also will email them a reminder. It also, if you want, will take that contact information and add it to your CRM, will add it to your email system, will do all kinds of stuff you want with it. It’s a beautiful piece of software. I urge anyone who’s listening to use it if you want to get your sales people on more calls, go to Acuity Scheduling. If you want yourself to do more customer development calls, try Acuity Scheduling. If you want to schedule more in person coffees–imagine you were coming to San Francisco and you said, “I only have three days here. I want to get as many coffee meetings as possible.” Easy way to do it is to create a calendar at Acuity Scheduling and then send it out to the people you want to meet and say, “Do you want to have coffee?” Boom. They pick out the time that works for them and they have coffee with you and they get to meet as many people as possible. Lots of uses. Anyone who’s listening has got to go check it out at AcuityScheduling.com/Mixergy. When you do that, they’re going to give you so much free time that frankly, you’re going to be able to get a lot of business done with it before that free time expires. So, I could see a lot of people actually saying, “I’m going to use the free version of Acuity,” and never paying Acuity. That’s totally fine if that’s what works for you, but I’m betting a lot of people are going to want to use it for a lot longer–AcuityScheduling.com/Mixergy. I’m grateful to them for sponsoring. Do you guys use software like that? Sangram: Yeah. I think there’s one software we use. You want to say the name? Sangram: Yeah. It’s very, very important to have a software like that, no doubt. Andrew: Yeah. You know it’s an amateur when someone tries to get you on a sales call and they’re sending you a time via email and saying, “When are you free?” is the worst. Andrew: All right. The conference–let’s get to the logic of why even do a conference. There’s nothing better than actually putting a conference together. I think it’s the hardest thing to do, but it’s the thing. Andrew: That’s the thing. It is very hard to do. And then it doesn’t scale on a regular basis and you now have to sell the conference in addition to selling the software. Sangram: I think we do. I think we want to just go and scale. But the reality is it’s a new category. I think that’s one of the biggest reasons why the conference makes sense for us. People don’t know about account-based marketing, as you didn’t know about account-based marketing. So, how do you make noise? The way we thought and making noise is either me and going on my rooftop and shouting, “Hey, we do account-based marketing,” which didn’t really go that well, or actually find amazing influencers in the marketplace who actually know a thing or two about doing better job at marketing, understand the problem of less than one percent turn into customers. We need to do better marketing, better sales, all those things. We literally brought all of them. That just gave us the megaphone we were looking for. Then all of a sudden, we get associated with them. They get associated with us and the message spreads like wildfire. That’s really what we wanted to do and what we did at the conference. Andrew: How did you get people to come to the conferee? Sangram: I recorded a video of me saying that literally for Jill Rowley–I don’t know if you know Jill Rowley. She’s one of the biggest social selling mavericks out there. She was at Eloqua and now she does a whole bunch of things, Jill Rowley. She was just amazing. She was the one person I saw at the MarTech conference and I was excited to hear what she had to say. Andrew: And she said yes? Sangram: And she said yes. Andrew: Did you have to pay her? Sangram: It was a 30-second video. No, just flights. Andrew: You didn’t pay anyone else? Sangram: Yeah, flights and hotels. Andrew: All right. What about the attendees? How do you get the attendees to come? Sangram: That was the draw. These people were the draw. Andrew: But how did they even know they were there? How did Jill’s people know she was going to be at this conference? Sangram: That’s a great question. What we did is we have done now six conferences so far. But in Atlanta, where we did the first conference, once we had all we outlined here, here are the top thought leaders in the space, we need to bring all of them here and we were able to successfully bring seven of them. We felt really good about that. Then what we did is we signed up with multiple different media partners. They are excited about who was going to come to Atlanta. So, Atlanta Business Chronicle, like all the different media companies in Atlanta, we told them, “Here are the people who are coming. We’ll give you media passes and you’re going to get a chance to interview them.” So, they were very excited about that because they would have never got a chance to interview someone like Jill Rowley who is in San Francisco and goes to bigger conferences. So, they started writing about it and they created enough amount of communication in the marketplace that it was a sold out event. Andrew: And they wrote about it before the event too. Sangram: Oh yeah. That was the whole requirement. We wanted pre-conference interviews and then at the conference, they could do a radio show or something like that in a different conference room with them. Andrew: You required something before the conference? Andrew: What did you require? Sangram: We required all the media partners to interview the thought leaders. Andrew: Before the conference as a way of promoting the conference? Andrew: So, most conferences, I’ve actually asked conferences to do that for me. They’ll invite me out and I’ll say, “Great, but can I interview your speakers?” And they don’t like to do it. The reason they don’t like to do it is they feel like they’ve already asked the speaker for so much. So, asking them to also do an interview with Andrew or with someone else is a little bit too much. The other reason they don’t like to do it is because they paid the speaker, so they don’t have a connection to the speaker. I think those relationships matter. Now some of them are speaking and they’re like, “When is the next conference,” like they’re asking me. It’s the relationship that kind of takes it. I feel like what I need to give them–they’re not charging me anything to come and speak and stuff, what I need to do is give them even bigger voice and give them more outlets so they can get the message out. Andrew: Right. Frankly, most of them would love it if you just became almost their booker. I don’t know you specifically, but if the conferences originators said, “I’m going to book you on ten different podcasts.” Podcasts are really effective for getting your word out and getting people do to whatever you need them. All right. I see. What’s the deal with the cape at the conference? Sangram: So, with every conference, we try to do something different and fun. The one that you saw I was in a cape was in San Francisco. So, we have done Atlanta, Boston, Chicago, San Francisco. In San Francisco, we wanted to have like superhero them. So, the idea is like you’re going to have your superhero powers if you wear the cape and join the #FlipMyFunnel revolution. That was the whole kind of idea. So, I had myself and as many speakers as they wanted to kind of wear the cape. Jill was the first person who actually wore the cape at the conference. It was just fun to get people excited about it and have a good time. Andrew: Okay. How much did it cost you to put the conference on, by the way? Sangram: Each conference costs us around $250,000. Sangram: This is a real conference. This is a really like great conference that we put together and without paying any person to come and speak. Andrew: How much of your budget did you blow on it? Andrew: Zero because you made it back in ticket sales and in sponsorships? Andrew: What do you think about the fact that you have competitors who see this conference and go, “I don’t have the patience to organize this whole conference. I’m just going to buy my way onto it.” Now you’ve got your competitors sponsoring it. Sangram: I love it. I think the category has to be more than one. Today in account-based marketing, last year when it started, there wasn’t anybody talking about it as loud as we were. Fortunately now we have like ten other companies that say, “We do account-based marketing too.” I love that. I will eat that every day because it just legitimizes that this is a real category. So, for us, it’s amazing. Andrew: Wait, you’re saying to your sponsors they have to bring a customer? Sangram: Yeah. They have to bring a customer to speak. They can’t just come and sponsor the conference. They can sponsor it and have a booth, but if they want a speaking session, they need their customer to come and speak. So, we’ll have them like bring like Cisco or HP. Andrew: Oh, meaning their customer has to speak. Oh, not them. Andrew: But their customer and I get it because then you get a customer success story about this way of selling that then legitimizes and also illustrates how it works. Sangram: We record everything. The reason it’s $250,000 is because one, we take pride in the experience for the conference. It’s just not in a hotel room somewhere. It’s really well done. And then two, we record every single session. So, it’s a video recording of every single session that we give to the sponsor so they can continue to go and talk about #FlipMyFunnel everywhere they go when they put it on their website. So, it again supports our movement. And then for us, we turn all of those videos into like a virtual summit after the conference for everybody else that were not in the city to see all the sessions that happen. Andrew: Did you manage this conference yourself or you hired someone to do it for you? Andrew: One person, someone who had conference experience before? Sangram: Not really, but she is a damn good–her name is Nikki Nixon. She does a phenomenal job of managing the conference. That’s all her job. I have made her Director of #FlipMyFunnel. That’s what she does. Andrew: How many customers do you get from the conference? Sangram: So, the first conference we had like no idea what will happen and we had like probably 20 customers or so by that time, so we really didn’t have many customers. Then we walked out of there with like 50 customers. Sangram: In the first conference. And then we went to Boston and Chicago. It was a whole bunch of companies now in pipeline that we see. In San Francisco, we walked into knowing because we knew other people who were coming to the conference, we walked with a half a million in pipeline in the conference. So, we now know that this is a significant revenue driver. That’s really what we do. We do our own dog food. So, we run our own campaigns on advertising and stuff, but at the same time to build a category, we’re doing this conference in different cities almost every quarter. Andrew: Why’d you want to be on Mixergy? Sangram: I thought it’s a really cool idea. I heard–who was it? Andrew: I forget who introduced us? Andrew: I’m going to look it up. I always shave this stuff in my system. Andrew: I like the way that you messaged it too. You said, “Looking forward to connecting. I’m a huge fan of Gary V. and the others’ you’ve recently interviewed.” I at first read it as, “I’m a huge fan,” meaning like a huge fan of Mixergy and Gary V. I like it. I’m wondering what’s the business benefit for you? Sangram: I don’t think there is much. I don’t look at it from a business benefit perspective at all. I feel it’s more of like awareness. That’s really all I care about. I want more people to learn about account-based marketing. I want more people to know what account-based marketing is and the more people know about it, the better it is. Andrew: Why evangelize that instead of evangelizing your business? Andrew: Our interview was produced by Brian Benson who asked you a bunch of questions before this interview started. One of them was, “Tell me about a difficult period in the business.” One part you brought up was having to let someone go because they weren’t a cultural fit. Andrew: What makes someone not a good cultural fit for you at Terminus? Sangram: It is a hard question excuse culture, I think, is just people. We have a lot of core values that we have identified and all that stuff, but at the end of the day, it’s just people. This person was a really good performer and there were no issues with performance at all, but this person did not behave the way he should have and I can’t go into more specifics. That just felt right. Andrew: What do you mean? Was this something wrong they did or just something that’s not a good cultural fit? Sangram: It’s wrong outside of business. That kind of showed their character. That did not impact the business by any means at that point, but it just showed their character wasn’t the right character for the business. Andrew: That’s not a huge business challenge. Have you had anything or is this like a cake walk over here? Sangram: I actually talk about this with some of the folks, that I’m the greatest fake entrepreneur that you’re ever going to find. When I think about entrepreneurship, I see a lot of people listening to Gary V. and everything is like, “You’ve got to work hard 24/7,” this, that and the other. I work hard, but I’m not going crazy. I’m pretty happy and people are pretty happy. I have two kids and I spend pretty good time with them on weekends and stuff like that. I feel like it’s the rise of almost like fake entrepreneurship. The real entrepreneurship as people call it is about going through like four or five years of like real kind of sweat and this, that and the other. I felt like I walked into it knowing exactly what I wanted to do and I’m doing it and I’ve been kind of–I got a lot of support from the community and the problem we’re trying to solve. Andrew: You keep coming back to the problem. The problem was you were a guy who worked for Pardot from 2013 to 2015. You saw a problem there over and over again. Can you give me an example of that so that I really can visualize it? Sangram: Totally. Absolutely. So, every B2B company, most B2B companies have sales teams who are selling or on the call who are actually making the deal close. Marketing’s job in that scenario in most B2B is to give them leads that are qualified. That is their number one job. Marketing is not closing, sales is closing. Andrew: To get specific names and phone numbers of people that they should be calling. Sangram: Exactly. Email addresses and phone numbers of people they should be calling. The way they do that, the way B2B marketers do that is by creating content. They say, “Here is an eBook that you can download on whatever it might be,” like handbook for doing marketing automation. Somebody downloads that eBook, they automatically get routed to a sales person. The sales person starts calling that person. That’s typically how it works. Andrew: Did you have that problem yourself? You guys had an eBook? Andrew: What was the eBook that got a lot of your people on the phone but wasted their time? Andrew: So, you guys created an eBook about “Game of Thrones” account-based marketing? Andrew: And it got you a lot of downloads. Sangram: Yeah. It was beautiful. It was very well done. I want to make sure I don’t put anybody under the bus. It was beautiful and it was great. When we looked at the numbers, we were like, “It doesn’t’ really drive revenue for us yet. Maybe it’s making people happy, which is awesome. Maybe our customers are happy to see that and it’s great artwork.” But it really didn’t drive any revenue. So, what could we do? So, that’s one problem. So then when we go into the sales meeting, we can tell them the story as opposed to kind of trying to take credit. Here is what really happened. There are five people part of the process and they did so many things. Whatever marketing is doing to help you influence this deal, you just don’t know about it. So, account-based marketing to me is kind of that. It is solving the fundamental problem in sales and marketing saying, “Sales, you’re the closer, so there’s no doubt about it. Every deal has to be closed by you, but let me share with you the story, what it takes to close the deal. It’s not just a phone call and email. It takes so many more different things. It’s no silver bullet, so many different things to close it.” That really, there were like four interns that did that for me every month. Andrew: All right. I see the problem. I see how it led to a solution. I see how it got you this far with this software. It’s an incredible story and we’re just getting started. One of the reasons why I was hesitant to have you on is it seemed too soon. It seemed like you guys were about a year old, right? Andrew: Impressive how far you’ve come. All right. The website for anyone who wants to check it out is Terminus and what’s the site about #FlipMyFunnel? It’s FlipMyFunnel.com. Sangram: That’s awesome. That is exactly what we would do. It’s direct mail to you. You’re taking the time to open it. Andrew: To the specific person. This you like? Sangram: Yeah. I love it. Andrew: It’s coming directly to me. Sangram: Yeah. They did something for you and you feel good. That’s good stuff. Andrew: But you know what? This looks really nice. If I was a Pipedrive employee, I’d want to drink from this, but do I drink from this now? Sangram: Now what they did is too much branding about themselves. Imagine if it had your picture on it or something like that. Andrew: Or Mixergy or something. Sangram: If you had Mixergy on one side and Pipedrive. So, they did not put enough time to think about what would make it special for you. Andrew: What if they didn’t? Frankly, they just paid me. That’s what makes it special for me. And I use them. That’s how I keep track of you. That’s what makes it special for me. What if they just sent a mug that said, “Coffee is for closers,” with nothing else. Sangram: I think they probably should put somewhere something so they know you remember, “Where did this come from?” three months from now. It doesn’t have to be really big. It just has to be somewhere small. Andrew: I do really like them. I’m a huge fan of Pipedrive. I’ve raved about them. I know who introduced us because of Pipedrive. It’s Samir Penkar. Sangram: There you go, Samir. Andrew: It’s in Pipedrive like everything else. Pipedrive, thank you so much for sending this over. And I have one last one. I’ve got to clear my desk. I’ve got scotch night coming in here at the office. The only time I clean the office actually is every time but… Oh no, this is something I bought. This is not a gift. I didn’t realize it came to the office. I was wondering why it didn’t come home. Andrew: There it is, a little giraffe for Shephard. This thing cost me I don’t know how much, $31 because they stopped making it and some guy on Amazon still had it and so I got the giraffe for Shephard. Sangram: That’s nice. You got one kid? Andrew: I’ve got one kid. You’ve got two, huh? Sangram: Five years old boy and 18-month old daughter. Andrew: I’m waiting for another one soon. I’m so looking forward to it and a little afraid of the crying again. Sangram: Congratulations. But you’ve got to go for it. Andrew: I do. It’s going to be painful for me now but in the long run, it’s going to be great for everyone. First of all, I’m going to love having another kid and second, they’re going to get to play with each other, which will be fun. Andrew: I’ve said everything except I forgot to thank my sponsors one more time before ending. My two sponsors are–do you remember who they are? Let’s see how good a job I did. It’s okay if you don’t. Andrew: Yeah. I’ve got to make sure I’m pronouncing them right. It’s Toptal. Top like top of the mountain, tal as in talent. Sangram: Toptal and Access Intel… or something. Andrew: Good. You know what? No. But good thing I asked you. Andrew: Acuity Scheduling. I feel like Acuity Scheduling is doing really well. It’s run by a Mixergy fan who I’m actually going to interview here because he’s been killing it with his business. But the name, Acuity Scheduling, I’m worried people aren’t going to remember it. Sangram: Why not put it right behind you? Andrew: That feels a little much. Andrew: Plus you know what? I looked at our stats, people don’t watch the videos. The video is mostly for me. People are listening to the audio and I’ve actually de-emphasized the video. If you’re looking at the site as a non-member, I’m trying to push you to the podcast more and more because that’s what people are doing. I’ve got to do a better job of pronouncing their name and letting everyone know. It’s Acuity Scheduling. And it’s Terminus. Thank you so much. Sangram: Thanks, man. I really enjoyed it. Andrew: Thank you. Thank you all for being a part of Mixergy. Remember, I’m pushing everybody to the podcast for a reason, much better than my own website because you get a much better experience. 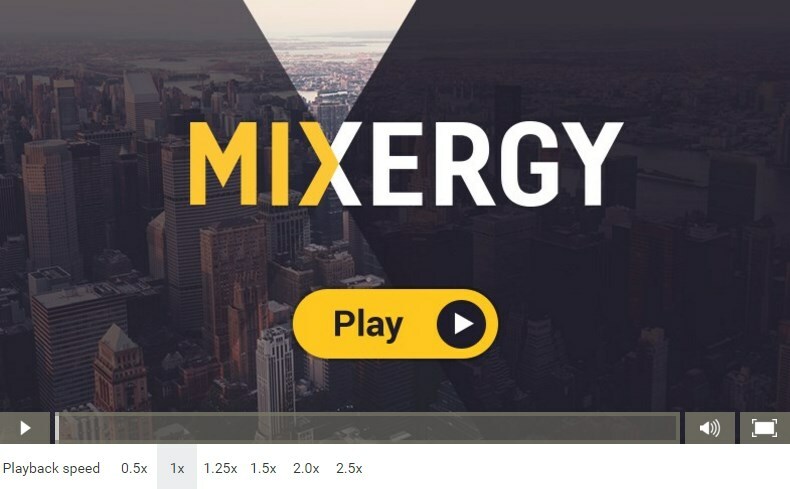 Whatever podcast app you like, subscribe your friends to Mixergy on their podcast. Get their phones, get them the podcast app you like and then subscribe them to Mixergy. All right. Bye, everyone.